We've given you some of our fashion and shopping tips, and shared some from Michael Kors. 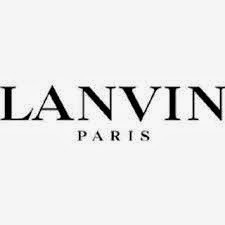 Today, we're giving you some of the things Lanvin thinks are important when making purchases for your style. 1. Wear the type of clothes that let you be who you really are. Have the wardrobe which lets you be yourself, not who a designer says you should be. 2. Take a high fashion approach to lower-priced clothing. Wait for the piece that satisfies you instead of searching for a bargain. 3. Trust the mirror. Designers and magazines offer general advice, but the mirror, and how you feel are the best source. 4. Respect your age. Nothing is more appealing than someone who embraces maturity. Clearly this is a tip stretching farther than shopping. We'll add, you should always be happy with the age you are. You define it, not social standards. 5. Find your colors. The right color gives you power, no matter what it is. 6. Be selective, not impulsive. Before you jump in to buy, buy, buy, consider what you need. If you want to bring newness to anything, be it work or your love life or your wardrobe, you must appreciate what you have. These tips are priceless. We hope they're helpful!